Love them or hate them, leftovers are definitely convenient. 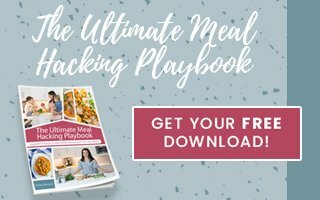 And my favorite way to make healthy lunches that aren’t boring is using pre-made protein to reinvent different dishes throughout the week. 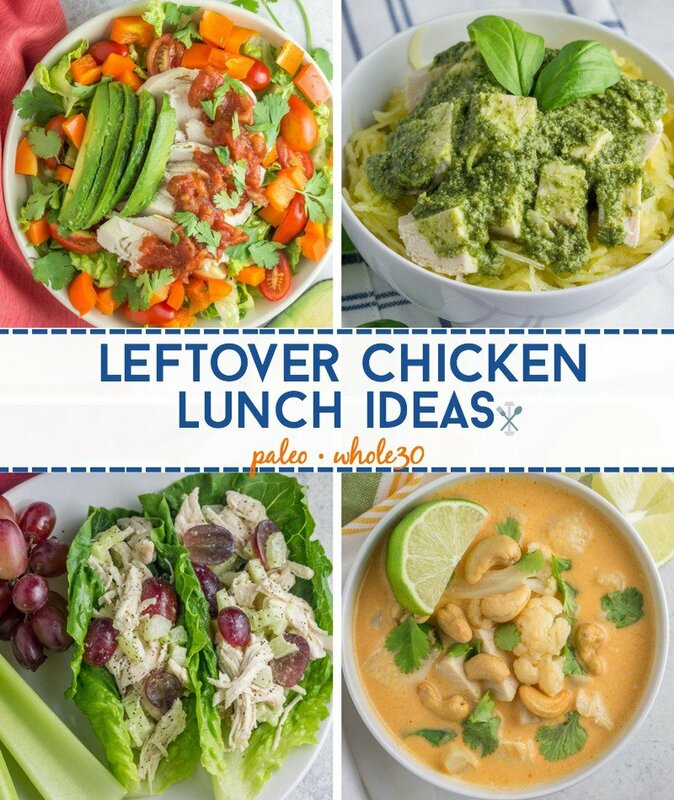 Let’s check out some examples in these easy leftover chicken lunch ideas. You’re intrigued, I can tell 😉 Leftovers don’t have to be boring or soggy or bland. Leftovers are LIFE for this busy mommy, and learning how to reinvent leftovers will change ‘yo life too. 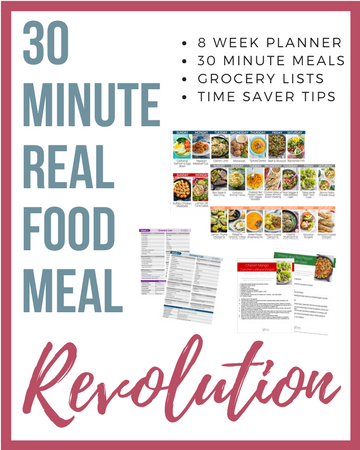 Especially reinventing leftovers for paleo and Whole30 compliant lunches that take 10 minutes or less to make. If you look at a chicken breast and just see a chicken breast, girrrrrrl you are missing out on a world of possibilities! You don’t look at a cup of coffee and just see a dark brown cup of liquid – you see the life despite lack of sleep, you see comfort in a mug, you see your soul’s deepest desires just waiting to be guzzled. Ok, maybe that’s just me (I like need coffee). 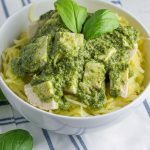 Back to chicken….It’s SO easy to make these leftover chicken lunch ideas using cooked chicken breast prepped earlier in the week or weekend. Doesn’t matter how you make the chicken, just as long as it’s cooked – unless raw chicken is your thing (disclaimer: I do not suggest eating raw chicken). 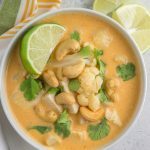 Instant Pot: 5 minutes manual pressure, then let naturally release for 10 minutes. If using frozen chicken breasts, set for 10 minutes manual pressure, then let naturally release for 10 minutes. Don’t forget to add 1 cup of chicken broth or water regardless if you’re using frozen or thawed breasts. 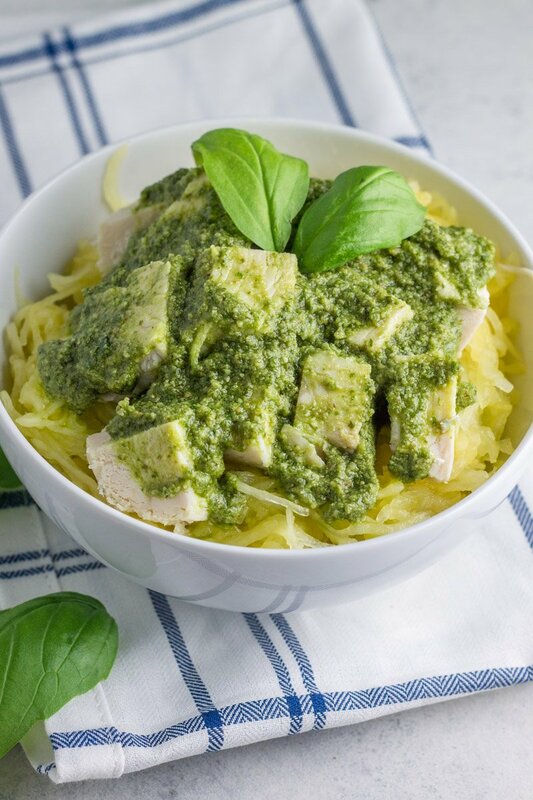 Now that we’ve got all our chicken breasts cooked up and ready to roll, here are some awesome ways to reinvent them! These four recipes will require one chicken breast per recipe. additional ingredients of choice: diced red onion, black olives, lime juice, etc. 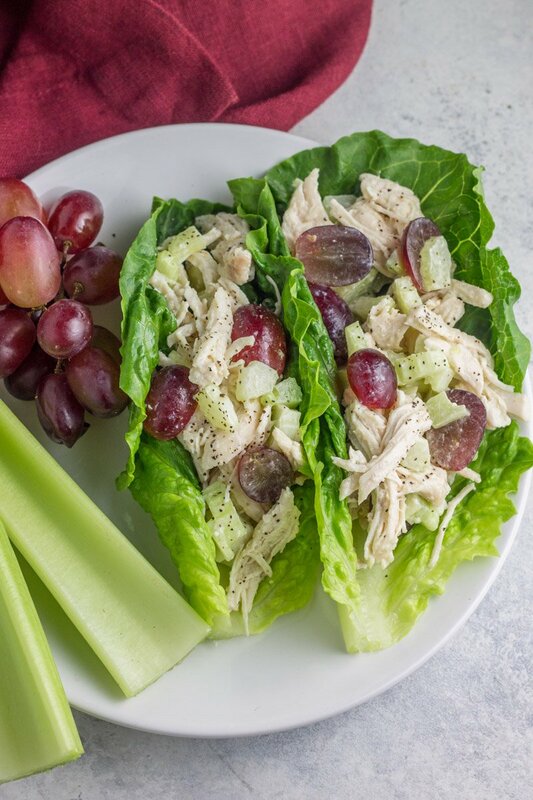 Thinly slice the chicken breast and add to a bed of chopped romaine lettuce. Are you convinced yet? 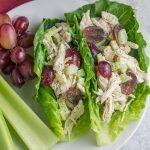 Convinced that bland, 2-day-old chicken breasts can be delicious again?! 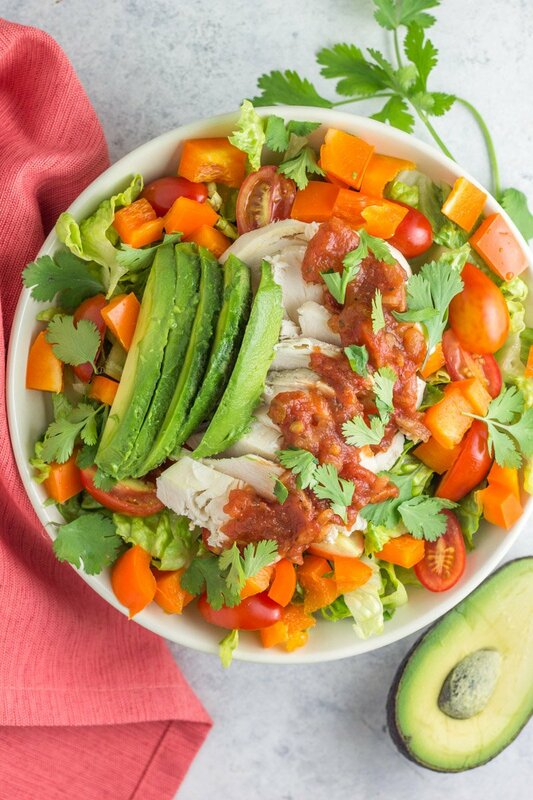 These leftover chicken lunch ideas are definitely worth trying, and who knows, maybe you’ll come up with a few other great leftover chicken creations that will make you rethink leftovers forever. When healthy eating seems overwhelming, it’s simple ideas like this that can make a big impact! Be sure to share this post on Facebook, Instagram, and Pinterest to inspire your friends and family too! Want to know some other ways I reinvent cooked chicken for delicious meals? 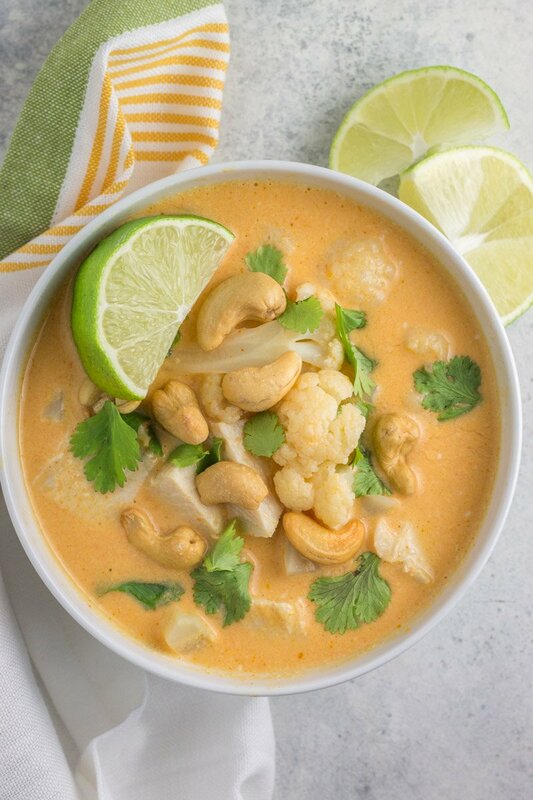 Then try this Thai Chicken Sweet Potato Flatbread, Skinny Fiesta Chicken Soup, and Cilantro Pesto Chicken Wraps.